Travel is often an emotional experience, especially when you visit a site which evokes strong feelings. Frequently these places are memorials to events or people. In these next few posts I will explore some of the most moving sights that I have visited. The war in Vietnam was one of America’s most tragic events. Not only did the US lose the war, but opinions about the war divided the nation and left scars which are still evident. 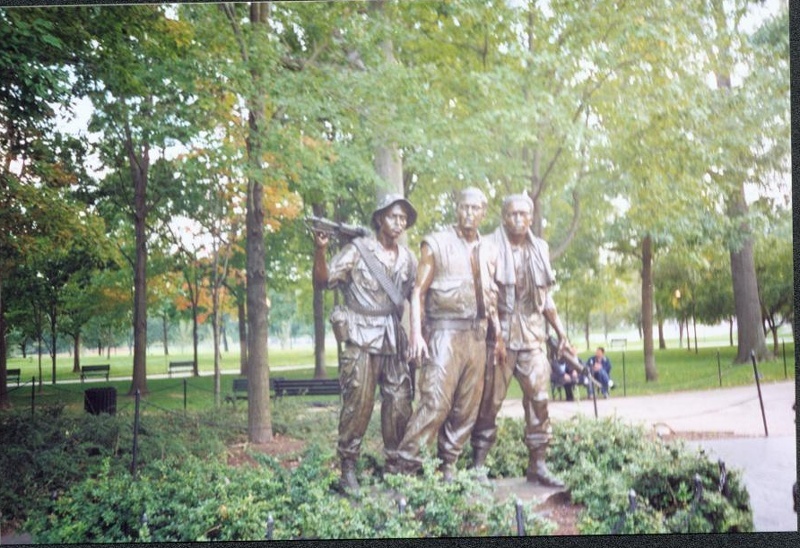 The memorial consists of three parts: The Wall, which lists those killed or missing, The Statue, a sculpture of three typical Vietnam War soldiers, and The Flag. 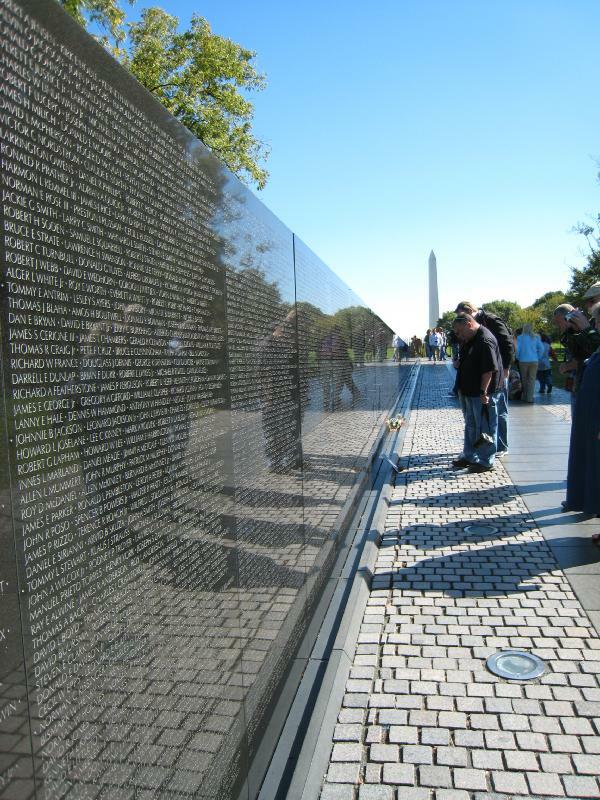 The Wall contains the names of 58,272 Americans who were killed or are still missing from the war. The names are listed in chronological order, from 1957 (panel in center of wall) to 1975 (panel in center of wall so that the beginning and end meet). 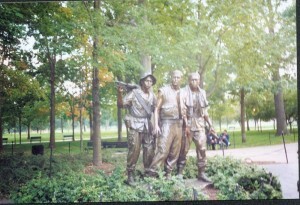 The “Three Servicemen” sculpture was designed and executed by Frederic Hart. 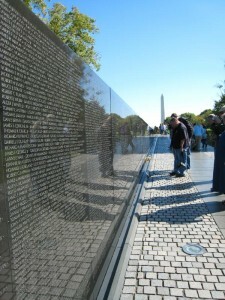 The Vietnam Veterans Memorial is incorporated in Gary’s Walking/Driving Tour of Washington, DC, available for purchase on the website. 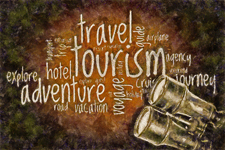 Just click on Walking Tour Store and browse my more than 250 walking tours. This entry was posted in Photo Albums, World's Greatest. Bookmark the permalink.